I met Karleigh at her sister's two year session in July, and then I had the amazing opportunity to photograph her 6 month session two months later. I loved her, so I was thrilled to get her one year session! Karleigh is a Valentine's baby, so a subtle Valentine's Day theme was necessary! 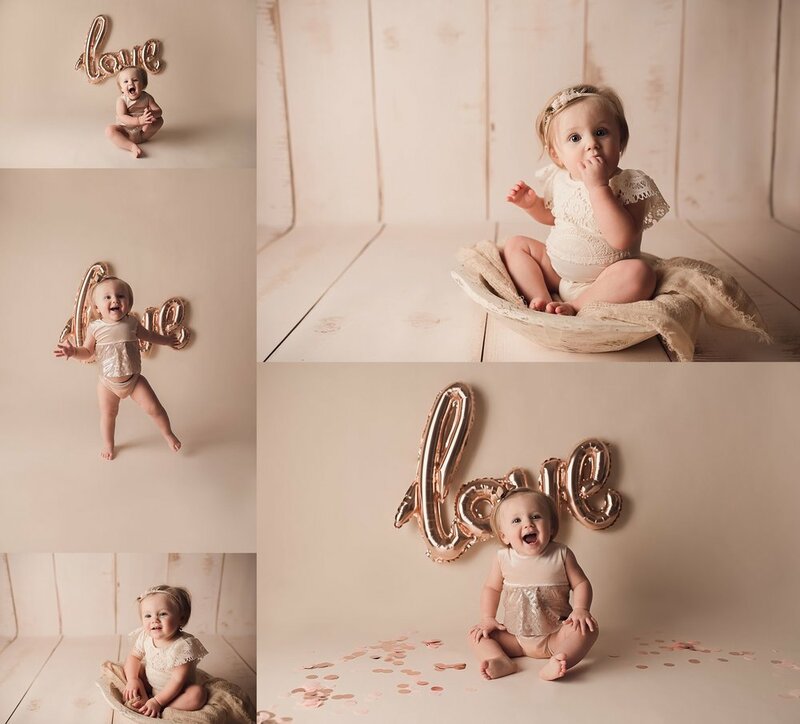 I have this adorable little velvet and sequin outfit from one of my favorite prop vendors, and I knew it would match perfectly with a rose gold "love" balloon. I have to say, it is one of my favorite set-ups to date! We ended her session with a well deserved cake smash. After all, having your pictures taken is a lot of work!